Newsflash: Chocolate is Good For Your Teeth! - Adelberg Montalvan Pediatric Dental PC & Orthodontics too! Newsflash: Chocolate is Good For Your Teeth! Okay.. we admit it. That’s not entirely true, but there are some benefits to chowing down on chocolate over other sweet treats. In fact, it may surprise you that dark chocolate has actually been deemed beneficial for your health in more areas than one. What makes dark chocolate a good dental decision? As compared to other types of candy — the sticky, icky, chewy, gooey kind — chocolate washes away easier, leaving less residue that can potentially cause decay. The dark variety specifically, contains a flavonoid called epicatechin. This flavonoid helps to slow tooth decay, while also lowering cholesterol and preventing blood clots and clogged arteries. 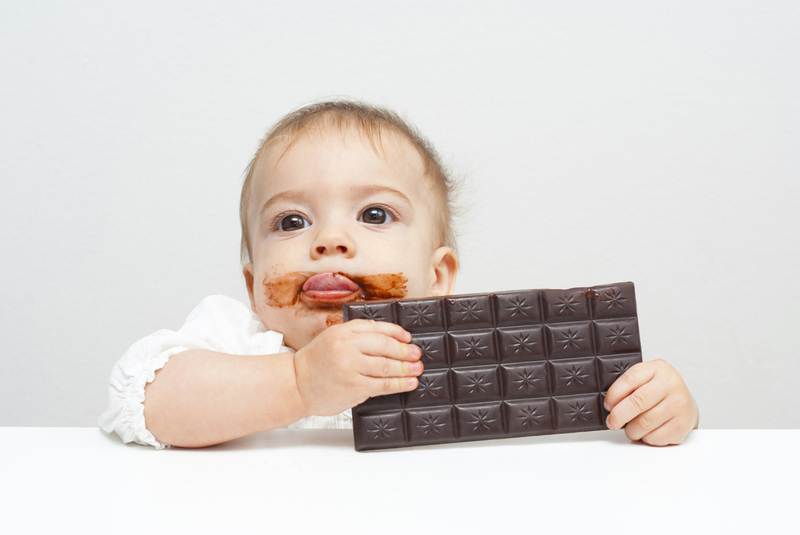 So, what we’re saying is… enjoy as much dark chocolate with your children as you please — in moderation!! What other sweet treats are good for my teeth? Truthfully, we wouldn’t really say any sweets are particularly good for your teeth, but more that some are better options than others. Like sugar-free gum sweetened with xylitol for example. The xylitol acts as a sweetening agent so that kids are still intrigued by the flavor, without all the decay-causing sugar. The gum helps promote saliva production, which naturally cleans teeth. Moral of the story? Go sugar-free! Your kids won’t even notice the difference. At the end of the day, no matter what treats your children like to enjoy, the most important thing is remembering to floss and brush regularly. Sure dark chocolate and sugar-free gum can help, but they certainly won’t be able to battle tooth decay and halitosis on their own!